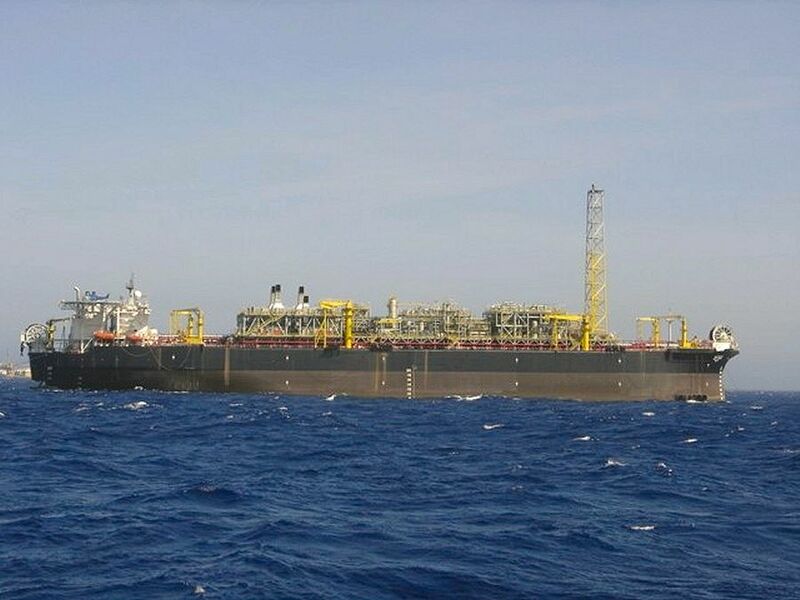 "FPSO Cidade do Rio de Janeiro". At Campos 21.12.2006. "FPSO Cidade do Rio de Janeiro". Guanabara Bay, in Rio de Janeiro (Brasil), 06/12/2006. 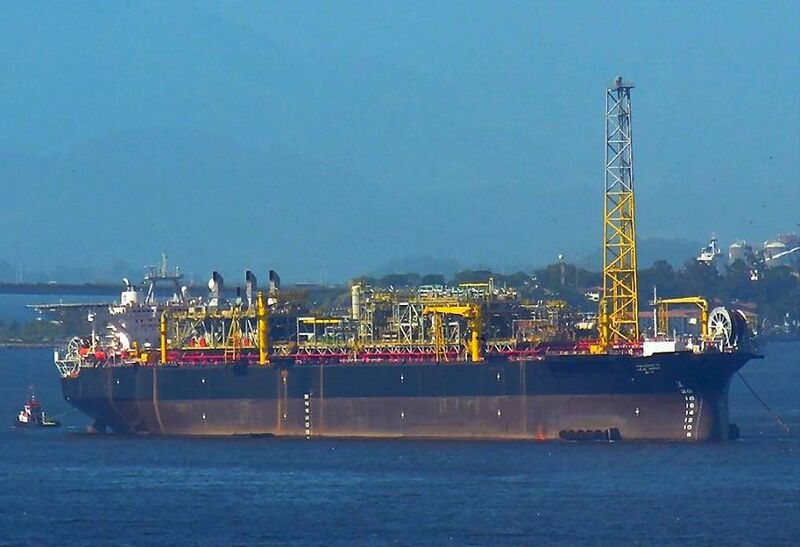 Jurong Shipyard has successfully delivered the FPSO Cidade do Rio de Janeiro MV 14 on October 8, 2006 to MODEC International LLC, a Houstonbased oil and energy company wholly owned by MODEC Inc of Japan. 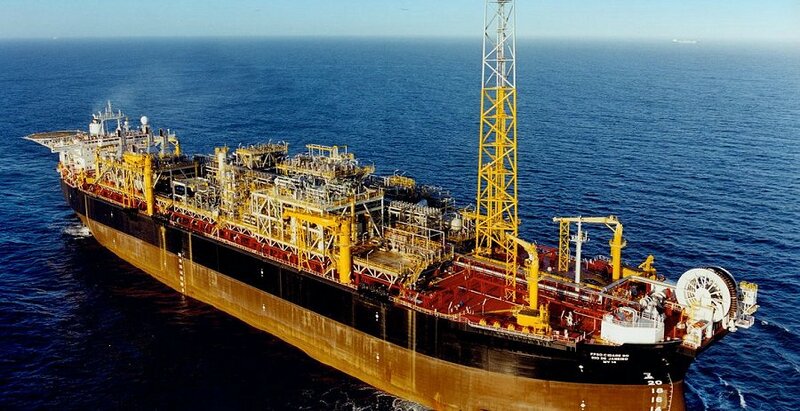 company Petrobras S.A., which owns the FPSO. The yard’s twelfth conversion for the MODEC Group, the project involved the marine hull conversion, life extension, as well as installation and integration of topside process facilities, including oil, gas and water processing modules. without lost-time injuries over a period of 14 months – a clear testimony of the yard’s unwavering commitment to high safety and quality standards. FPSO Cidade do Rio de Janeiro MV 14 has a production capacity of 100,000 barrels of oil per day, a storage capacity of 1.6 million barrels of oil, a gas compression capacity of 87 mmscfd, and water injection capabilities of 113,200 barrels of water per day, with accommodation for a maximum capacity of 100 persons. Following its delivery, it will be leased and operated by MODEC for deployment on the 1-RJS-409/4-RJS-415 areas of Espadarte Sul field in the Campos Basin, offshore Brazil. Equipped with 34 risers and umbilicals, the FPSO is planned for installation in 1,350 meters water depth via a spread mooring system that is supported by 18 anchor piles into the seabed. The Miramar Ship Index for "TOKYO MARU"